A sophisticated design exuding effortless power. Rare seafaring affinity and operational ease. Uncompromising Riviera quality and attention to detail throughout. 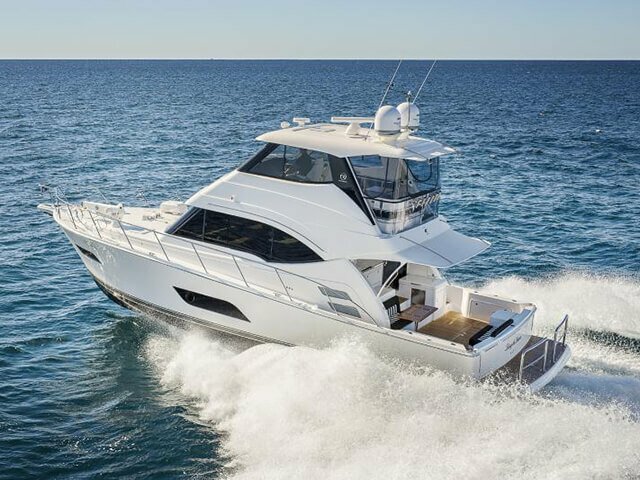 Take-in a peerless view from the top, fishing or blue-water cruising, in a classic Riviera flybridge design offering you fine ‘easy living’ lifestyle, over three levels. Our largest, grandest, most spectacular design yet. Offers an incomparably vast cockpit and covered mezzanine dining area, spectacular standard power and long range capability. Revel in sports-inspired looks and legendary performance from V12 MAN diesel engines. Luxuriate in the impressively large cockpit and covered mezzanine area. 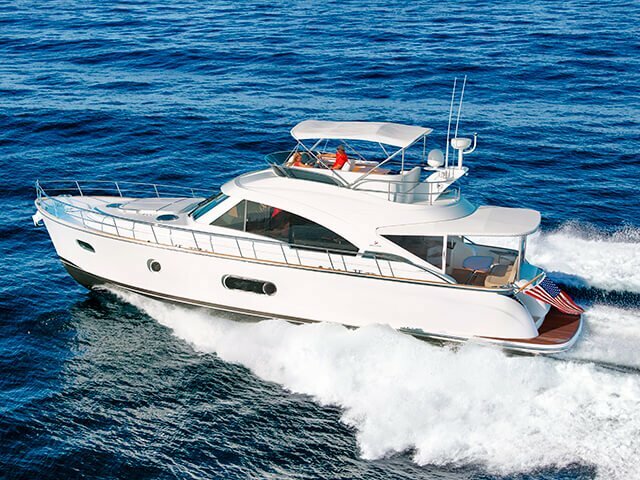 Discover the magnificent, versatile foredeck entertainment area and enclosed flybridge with internal stairs. 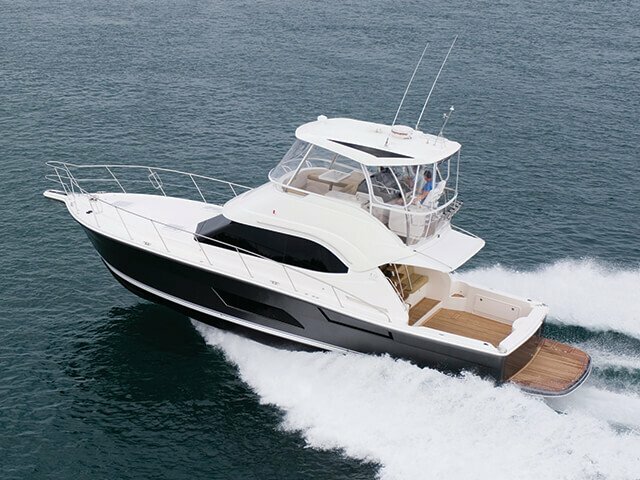 A new style of motor yacht under 40-feet. 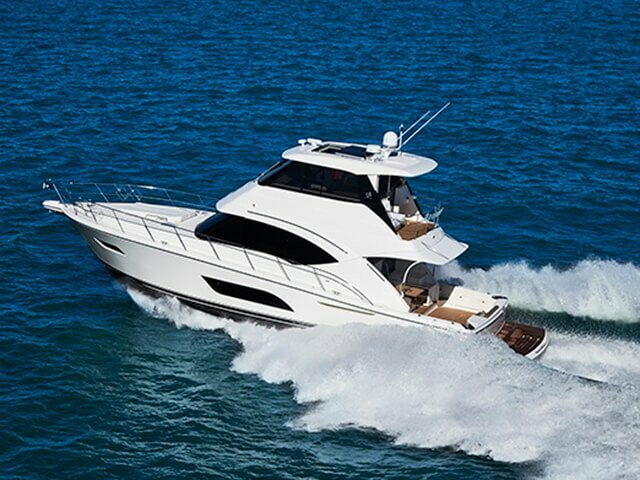 An enviable combination of class-leading sports looks and performance, with a sporty open flybridge and sports-influenced open cockpit. Superb luxury and style aboard the flagship of our Sport Yacht Collection. 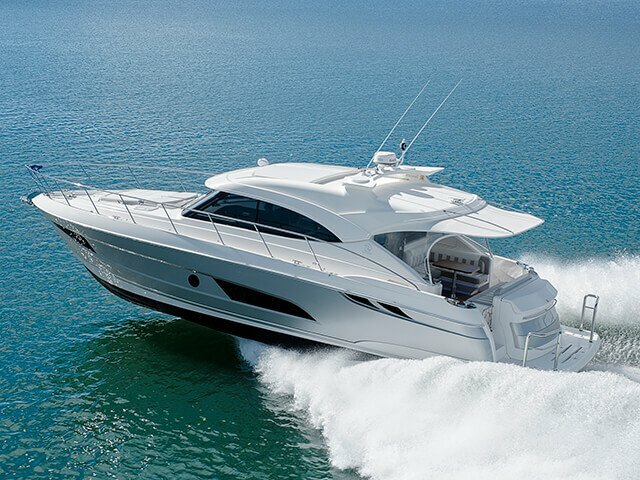 Enjoy the silky smooth performance, entertaining and cruising on a grand scale. Alive with light, space and finely handcrafted appointments. Living your dream never felt so good. Or looked this good. Spectacular design and appointments, dream alfresco, flowing lifestyle. Three magnificent staterooms below. Whisper quiet Volvo D11 engines power twin pod-drives deliver breathtaking performance with fingertip-easy joystick maneuverability. 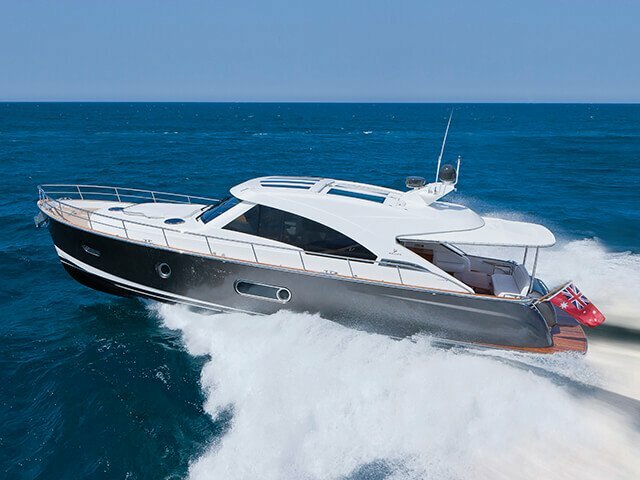 The Riviera 4800 is pure luxury, above and below. In the accommodation deck, you’ll discover two magnificent staterooms and two designer bathrooms, each filled with natural light and handcrafted luxury. An entirely new class of luxury motor yacht: in effect, two yachts in one. 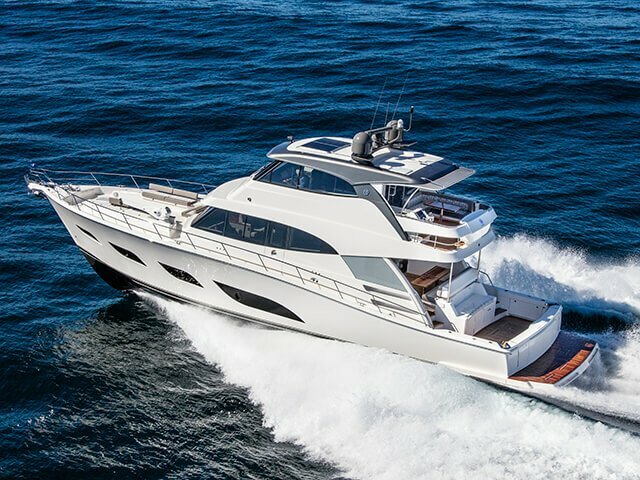 The blue-water performance and open cockpit of our Flybridge Collection, melded with the entertaining and cruising style of our renowned Sport Yachts. 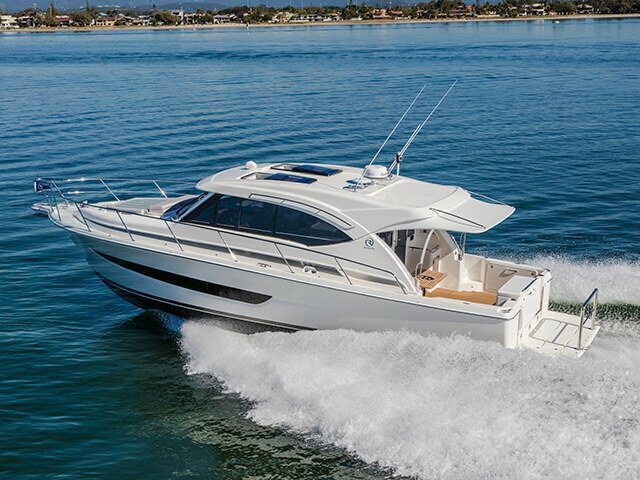 World leading on board and engine room technology make the 445 SUV supremely easy to operate and skipper…for novices and experienced hands alike. You’ll have silky-smooth Volvo Inboard Propulsion System (IPS) to power you, Volvo Penta Glass Cockpit Navigation and multi-function display screens to guide you and fingertip-easy, joystick maneuverability. Simply brilliant. Discovering the accommodation deck you’ll quickly appreciate how Riviera design sense and flair makes so much possible. The master stateroom boasts a large walk-around queen-size bed, handcrafted storage and adjacent designer en-suite. Your guest stateroom accommodates up to three adults in signature Riviera style. 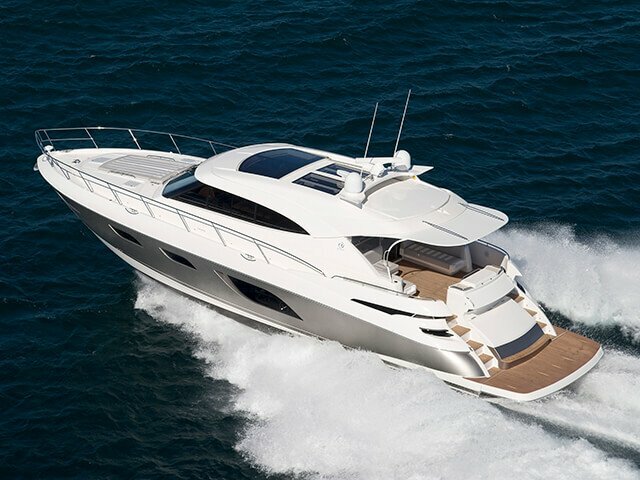 Single-level lifestyle design perfectly encompassing ultimate motor yachting luxury and distinctive style. Designed by 4D Designs in collaboration with the Riviera and Belize design team, the Belize 66 is in a class of her own. Craftsmanship without equal. Customisation with no peer. 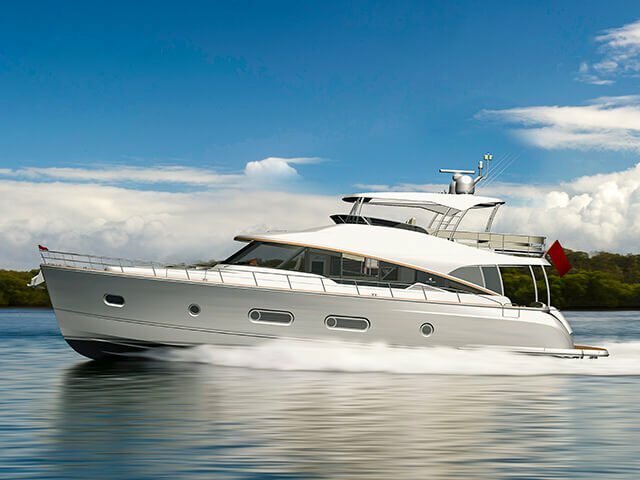 The Belize 54 was designed by 4D Designs in collaboration with the Riviera and Belize design team with the designers striking keen-eyed balance between European panache and Australian practicality and have delivered greater elegance and space – in all the living areas. System (IPS) with joystick docking. 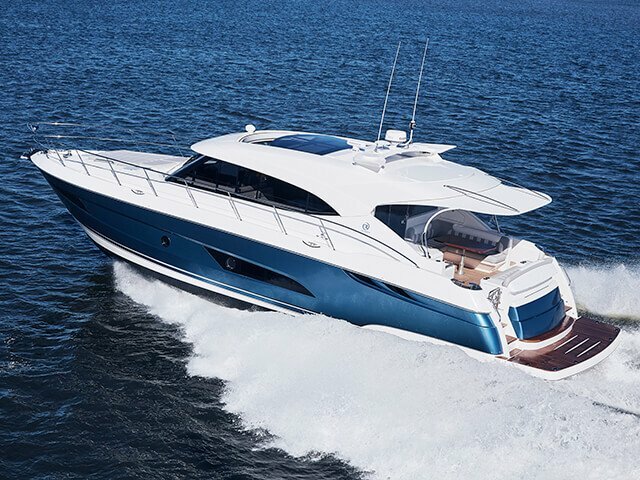 The video shows the Riviera 72 Sports Motor Yacht. This is your special invitation to experience history in the making. Now Riviera, pioneers of luxury SUV motor yachting, are proud to introduce our first ever under 40-foot SUV model. 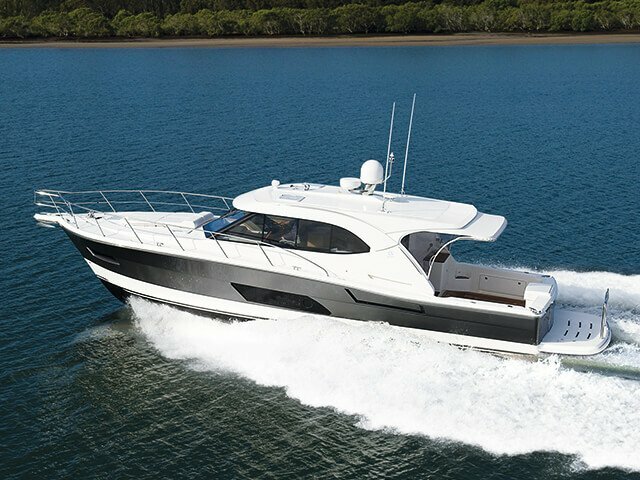 The exciting new Riviera 395 SUV: with flowing one-level living, open cockpit, spirited Volvo Penta IPS performance and pinpoint handling. Sensational. Be among the first to experience it all now. 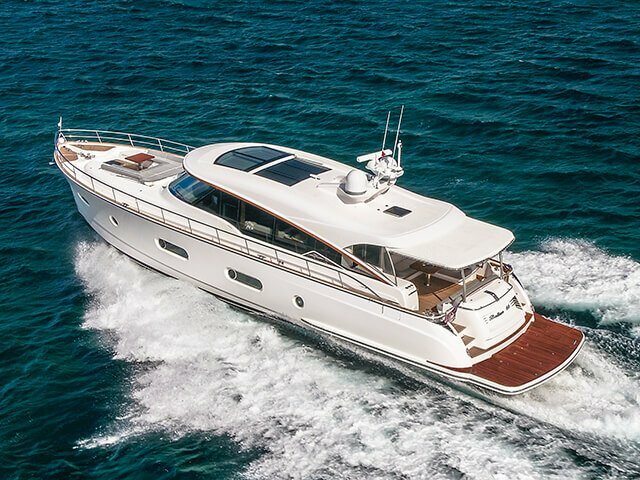 is a stunning meld of sports looks, sports performance and sporting cockpit, renowned Riviera luxury appointments and superior offshore, extended cruising capability. All highlighted by their whisper quiet ride and super smooth running at speed. Painstakingly developed over a two-year period, they are set to redefine the class and your expectations. Isn’t it reassuring to know that every new Riviera and Belize luxury motor yacht has been ocean-tested in the world’s toughest blue-water conditions? 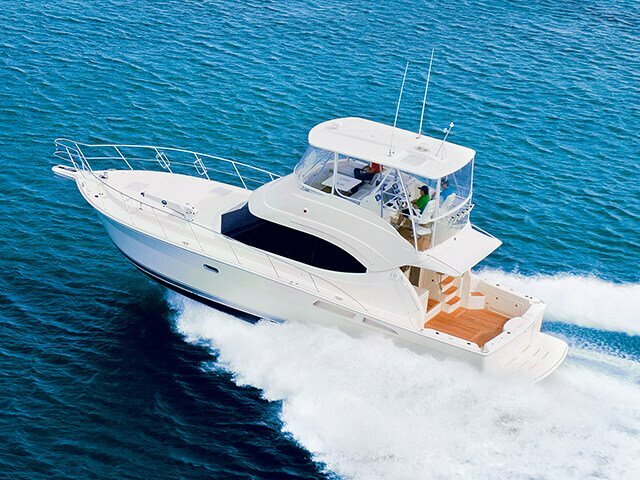 This proven structural strength comes backed by an industry-leading 5-year limited structural warranty, plus Volvo Penta’s 5-year limited warranty covering engine, drives, systems and electronics. 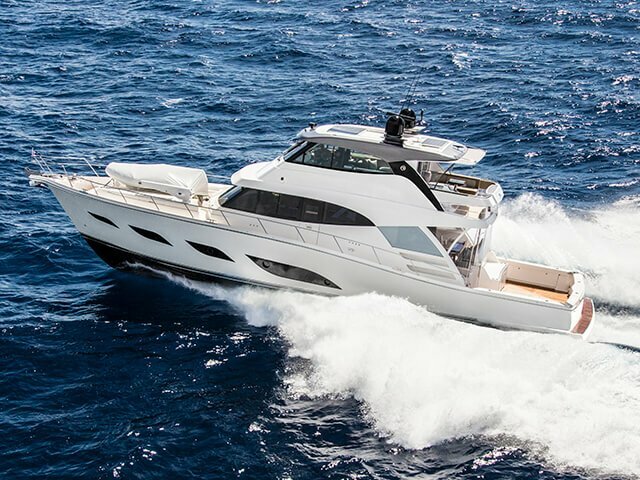 The Riviera Sports Motor Yacht is a true long-range, luxury motor yacht built for owners who want to take they’re boating far afield, whilst still being able to fish effectively and enjoy myriad water-sport pursuits, including scuba diving, snorkelling and kayaking. Born and bred in Australia, the Riviera possesses a refreshingly distinct style developed in-house by Riviera’s talented design team who obviously know their customers and what lights up their eyes. This is your special invitation to experience history in the making. Now Riviera, pioneers of luxury SUV motor yachting, are proud to introduce our first ever under 40-foot SUV model. 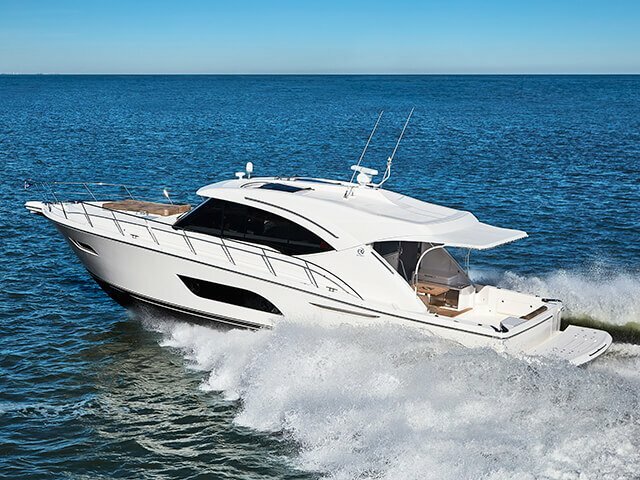 The exciting new Riviera 395 SUV: with flowing one-level living, open cockpit, spirited Volvo Penta IPS performance and pinpoint handling. Sensational. Be among the first to experience it all now. 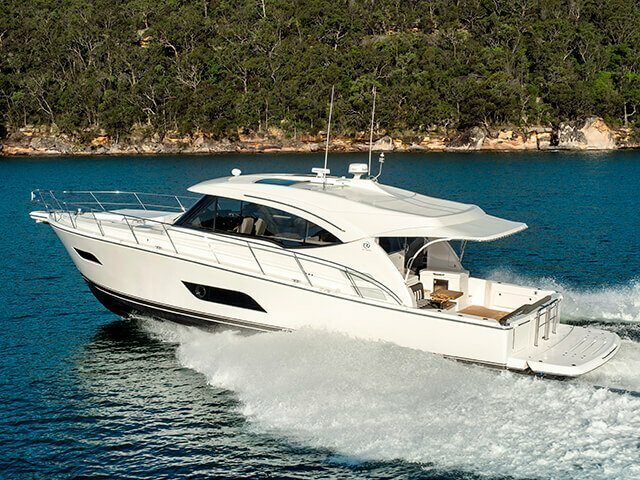 Reserve a for the Riviera 395 SUV at the Sydney Boat Show. Just Have A Get In Touch Here. We have decided to take this trip in two parts so as to give you the opportunity to be able to explore the stunning waters of the Hawkesbury, Pittwater & of course the magnificent Sydney Harbour. Our southbound journey will take place in February with our return trip taking place in March. Yes, this means your boat will be able to remain down in Sydney for the few weeks between both trips. 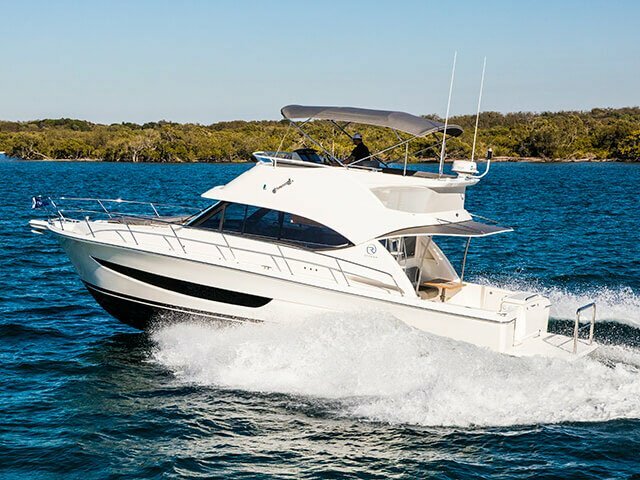 Just imagine being able to take your time to explore Sydney Harbour, or take a leisurely cruise up the Hawkesbury to a quiet destination or a romantic hideaway. 1700 Afternoon walk over Muttonbird Island1700 - 1700Watch the sun fall from Muttonbird Island - Right at the marina. TBA DEPART TRIPTBA - TBADepart trip to the marina of your choice where your boat will rest until the return journey. Our event begins 5.00pm Thursday evening with our RMC VIP Champagne & Oyster Night. Our range of Riviera’s will make a beautiful backdrop to our Oyster Night. as well as the show-stopping Riviera 57EB. 5pm Champagne & Oyster Night5pm - 7.30pmLet it all begin! When the clock strikes 5 join us for Champagne & Oysters down on A-Arm, Runaway Bay Marina. 9am Riviera Open Boat Display - A Arm, Runaway Bay Marina9am - 5pmYou're welcome to drop by and view the Riviera line up we have set up. The selection of Riviera's are all current models. The 2019 Riviera and Belize Festival of Boating will deliver an exciting new format, bringing the Festival and the Sanctuary Cove International Boat Show together as a celebration of the Riviera Family in one location. The Riviera team will present an expert series of comprehensive educational seminars and hands-on workshops. They feature new content and reflect owners’ specific interests and the very latest technology on board Riviera and Belize motor yachts. Festival seminars will be held within the InterContinental Resort and on board the Riviera Motor Yacht Club at the end of Pier F on the Boat Show marina and on multiple Riviera yachts on the water. The Riviera team is also delighted to announce that the very popular Living The Riviera Dream seminar will be presented this year by David and Lis Paton who recently returned from a significant circumnavigation and live-aboard adventure on their Riviera 53 Enclosed Flybridge Pascua Lama in Tasmania. The Riviera Motor Yacht Club will be the centre for selected seminars and on-water workshops including the popular Ask The Experts panel, the Fishing Clinic, Offshore Seamanship and more. The incredibly popular Galley Wise – Planning and Provisioning seminar will be held at the Riviera Motor Yacht Club where renowned chef Sally Jenyns will turn her flair to cooking a banquet onboard your yacht with amazing taste and simplicity.